The world of tennis is used to seeing great rivalries such as Roger Federer v Rafael Nadal, but Andy Murray and Nick Kyrgios are demonstrating the sport can produce great friendships too. 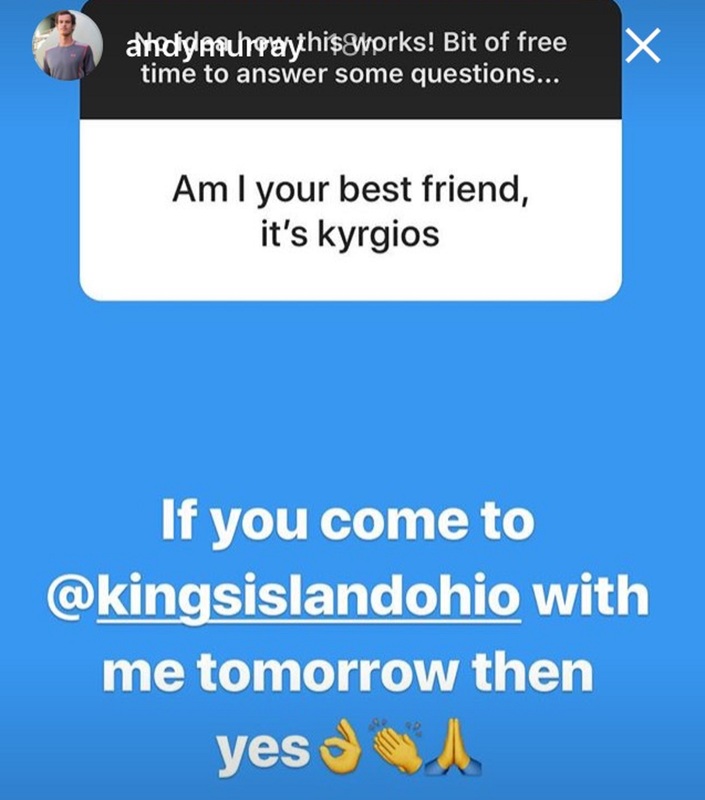 Murray and Kyrgios were in Cincinnati, Ohio, ahead of a Masters 1000 tournament when the three-time major winner invited the Australian to a theme park through the magic of Instagram. Kyrgios accepted the invitation and what resulted was a magnificent video of two of the world’s best tennis players going a bit giddy on a roller coaster. Murray seems somewhat different when he’s not battling for a major title. The pair faced one another on the court at the Queen’s Club Championship earlier in the summer, where the 23-year-old beat the Brit 2-6 7-6 7-5. While they clearly produce great matches in the athletic sphere, that’s clearly not getting in the way of a blossoming friendship.